POD is more than a luxury boutique hotel. It’s a declaration of love for fine living, fine design, and unforgettable experiences. 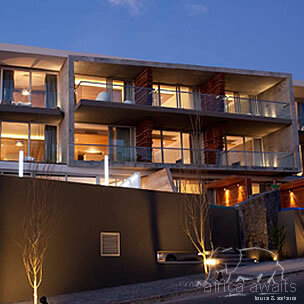 Located on the world famous Camps Bay shore, it combines all the qualities most prized by the discerning traveller. 15 bedrooms and suites provide ultimate comfort and privacy, evoking a feeling of sanctuary and serene relaxation. Welcome to Cape Town living at its indulgent best. These truly decadent corner suites open onto a private balcony with breathtaking views of Camps Bay beach, promising an experience second to none. Luxury features include a supremely spacious bathroom and dressing room. A true work of art, leading onto a large outdoor tanning patio with mountain and sea views, as well as your very own private plunge pool overlooking the beach. The best of all worlds. These spacious rooms with private balconies boast spectacular sea and mountain views. These luxurious rooms feature a private balcony with fantastic views of Table Mountain, the Twelve Apostles and the ocean. * Free high speed wireless internet connectivity. 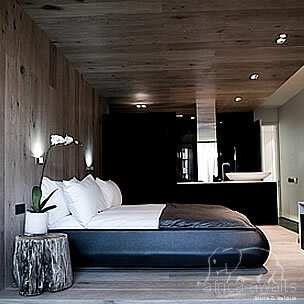 The very definition of compact luxury, these classic and stylish rooms offer beautiful mountain views. POD's philosophy is to cater for our guests' every need and desire. Private conferences, intimate wedding receptions or an unforgettable holiday in spectacular surroundings: whatever your wish may be, leave it in our hands. * Three suites with private plunge pools. 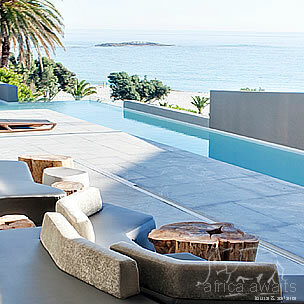 Frequented by celebrities and alive with culture, Camps Bay is one of the world's most desirable destinations. At POD, you're right at the heart of it. Soak up the sun, feel the sand between your toes and settle into doing nothing very slowly. Or visit the legendary Clifton beaches, just a stroll away. POD serves up a delicious continental breakfast daily, while restaurants, bars and bistros on the Camps Bay promenade cater for superb lunches and dinners. Enjoy a laid-back alfresco meal in a picture-perfect setting, as an unbelievable sunset brings the vibrant nightlife into full swing. Cape Town is blessed with an abundance of beautiful beaches, all boasting white sands, clear water and spectacular scenery. Camps Bay beach is right on your doorstep. With your holiday, safari or business trip from in to POD Boutique Luxury Hotel in Cape Town.